Do you find yourself saying "when this happens.." I can finally attract the person and life of my dreams? Do you feel anxious about all of the lack in your life? Always thinking there isn't enough? Do you feel like you are a magnet for disastrous relationships? Wondering why you are attracting Mr/Miss Wrong? Are you struggling to finally release the drama or pain of the past so you can finally be happy? Are you paralyzed in fear of moving forward because you no longer trust yourself or your intuition? When you look at yourself, your life, or your choices are you disappointed and wonder why everyone else makes it look so easy? Do you try over and over to make changes in your life, but can never stick with them? Do you have trouble telling people no and find yourself constantly wasting your time and energy people pleasing? Are you distrusting of other’s intentions? Do you attract narcissists into your life? 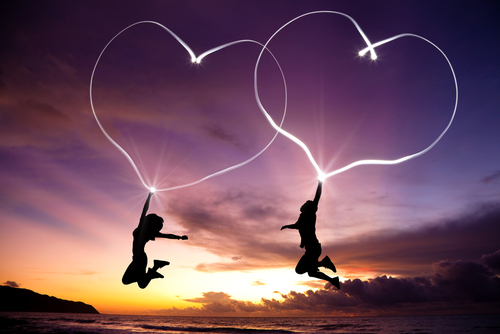 "I sent Chameice pictures of myself and my partner for our session and asked her to read the energy signatures so I could have clarity about the direction of our relationship. She was extremely accurate and even described him as a "gypsy soul!" This describes him perfectly. She further explained that our relationship is a perfect energetic match for me currently because it supports my empowered energy; That he helps me stay in my power and allows me to step out of co-dependency patterns that many cultures consider love. She identified that he helps me understand unconditional love on a deeper level. She described our unique love signature without me saying anything. I also asked her if she could assist me in better understanding the rebellious nature of my daughter and she explained the situation perfectly and accurately. I now have a better understanding as to what my daughter is experiencing emotionally and can try to take the necessary steps to help her move forward. 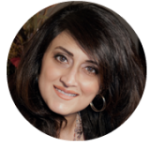 I would highly recommend Chameice as her sessions are as informative as they are accurate in assisting you to find the peace to move forward." How does the 100% Love Reset and Transformation program work? This 100% Love Reset and Transformation program helps you release your unconscious love agreements; agreements that you made about what love “should” look like How love manifests and forms in our lives is as unique as our souls. Our souls attract to us the types of love we need to help us become consciously clear about where we have become out of alignment with our true soul nature. Is it easy to attract our true soul match? Basically, the soul shows us everything we don’t need at a soul level (unconscious agreements) so we can find everything we do consciously. Our parents, friends, culture, and society teach us how love “should” look, but those are their agreements and by agreeing to them ourselves we attract inharmonious Love matches to us. 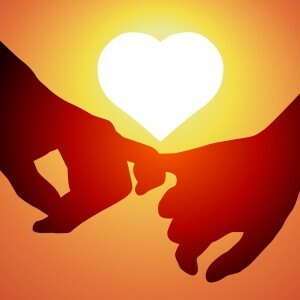 By consciously eliminating those agreements we attract our true soul match. The person that is a perfect vibrational match to our soul resonance so we are aligned to manifest all that we desire with ease and grace. What is this program going to help me manifest? What energy is embedded in the MP3s? The 19 MP3s in this program are ALL set to theta brainwave frequency. Theta brainwave is the magic maker…receptivity is heightened, you are able to access higher knowledge easier, access to the unconscious mind through this stat makes behavior modification easier, access to super learning is profound, and reprogramming negative patterns of the subconscious happens with ease and grace. The binaural beats on ALL of the MP3s lead to powerful altered states of consciousness by balancing both hemispheres of the brain. Is there a specific order to listen to the MP3s? These MP3s are to be listened to in order as they were created to guide you through the complete release, heal, implement process. This process helps you build a healthy long-term foundation to success in LOVE in all areas of your life. If one brick is unstable it can compromise the entire foundation, so it is imperative to build a foundation free of flaws. This way you prosper in all areas equally. Due to the powerful effects of these MP3s do not listen to them while driving and drink plenty of water as your energy will move significantly. “I was lucky to receive one of the VIP BackStage Passes to work with Chameice Daniel RH. She is great to work with. She explained exactly how she works. I still was affected by the triggering of my co-worker's death. On the call I was vibrating at a 5. Chamiece worked with me and I could feel energy moving through my body. She had told me Shannon's energy was not gone from this earth and that she was connected to me. Chamiece was able to send Shannon's energy to Source. By the time she did this I moved to a two and I was feeling energy moving out of me. I reached a 0 finally. Chamiece also saw my abundance come back to me. I really needed that. I felt stagnant in that area because I was not able to get the loan with a bank I was trying to connect with. She also told me the money would come from an investor not a bank. She also told me i needed to focus on what I was trying to create. I am putting in too many orders to the universe that are not clear for the Universe on what I am trying to create. I am putting in the order for money to create my holistic healing center in St. Maarten to be run from my B&B/home. I am also moving forward in my certification in sound therapy massage with Tibetan bowls. I hope to make this my career change. It is Sunday night and I had my appt with Chamiece on Saturday at 3:45 pm EST. Today I lived in clarity -- no haziness, no feelings of stagnation, no feelings of not being able to move forward and being in the past. I was focusing and actually cleaned today. I have not been able to clean for a week and half. I was able to focus my mind on my schedule. I feel new again. I felt yesterday when Chamiece said my abundance came back -- I saw my path right in front of my body with sunshine and light. I saw no obstacles. I am renewed in 2017. This year has been inspiring already for me. “I feel as if I finally have an “Owner’s Manual” for my past, present and future. And it has a troubleshooting section ! Working with Chameice Daniel is a cost effective investment in having a Paradigm Shift for your life. On Feb 6 Chameice leads off Eram Saeed’s talented healers for the LOVE Global TeleSummit. 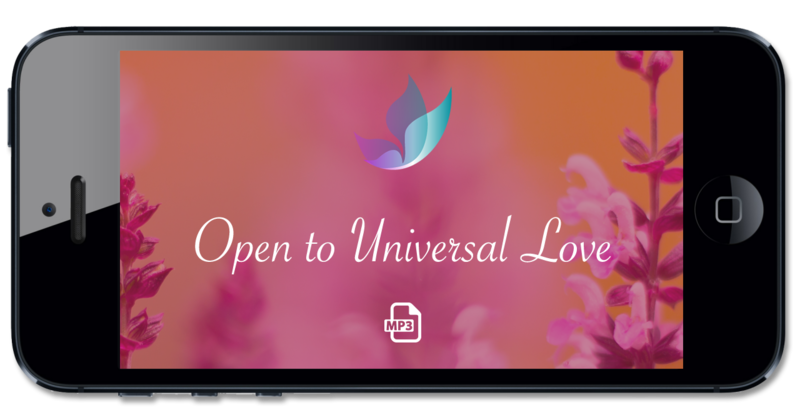 Our session included Twin Flame insights, and that I had not yet met mine, and what our relationship could become. I read her www.SoulFullTravelAdventures.com website to prep for my appointment. The beautiful singing instantly made me feel better. I downloaded her free (“easy peasy”) “Steps to manifesting ALL you desire”. And listened to the “Love Reflections” guided meditation. It would have been difficult to choose which one of the 4 types of sessions she offers. I am amazed and grateful to Chameice Daniel and Eram Saeed, that my FHTJ-VIP BackStagePass appointment was for the extra special four-in-one combination ! Even before my one-hour appointment, I noticed things in my life were changing for the better. Chameice is clear, direct, kind and generous, and has a great sense of humor. I instantly felt I was relaxing with a congenial and trustworthy mentor. And I got a full tank of the correct octane of emotional fuel. Chameice met me where I was. She was careful to figure out what I already knew, so that her explanations made sense to me. And she filled in some huge gaps I was not even aware of. I confided that I was lonely because several friends had “fired” me after I responded to their literal calls for help. I was sad, angry and confused. Chameice was helpful and humorous. She said that when people try to resonate with my higher vibration, they purge their lower vibration behaviors. But detoxing too rapidly is like the Herx effect. And they blame me for how they feel. She taught me how to adjust my energy level like a dimmer switch, to keep it within a comfortable range for them. And cautioned that if their purge is too difficult it can result in depression or suicide, which I had seen. She counseled: They try to get you to take out their garbage for them. Your role is to tell them, “ here is the trash can so you can throw out your own garbage”. Chameice explained my Past and Present lifetimes in terms of my challenges and life purpose. She explained that I am a Starseed, with a multi-lifetime assignment to Planet Gaia. And described my role as one kind of Grid Worker. Which is why I rarely travel, and studied physics. Grid Worker’s shine a bright light, thus attracting some of the darkness and junk from the collective consciousness. This puts a film over my energy. So Chameice added energy to several of my chakras. She recommends weekly clean ups, so I can more easily stay in my own power, and repel the myriad of health issues. She laughingly agreed with my analogy. I used a powerful solvent to remove layers of damaged plastic that dimmed my “new” 10 year-old car’s headlights. I learned that after I resume my true role and finish writing my book, then Abundance will respond. I was doing the opposite by trying to fix my finances first. This Self-Love MP3 releases self-judgement about past choices, fears, paths, and any other perceived obstacles in life with the assistance of Isis and Venus. 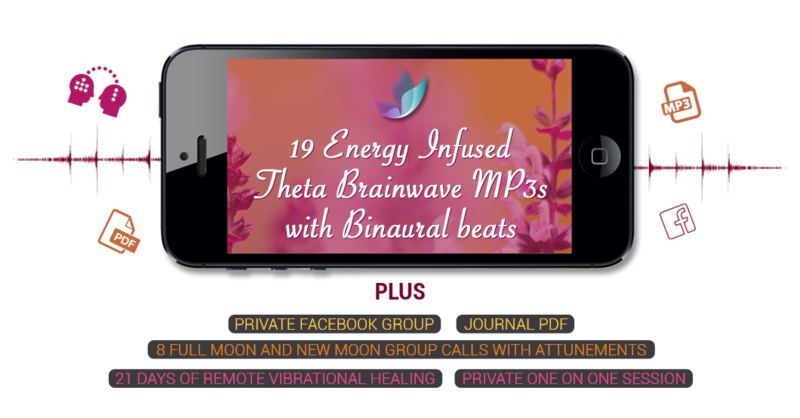 This MP3 uses Theta brainwave vibrations to go deep into unconscious programs to release them along with Binaural beats technology to balance both hemispheres of the brain. There is a guided meditation in the beginning to get you centered, balanced, and grounded and then goes into music that I infused with self love energy. 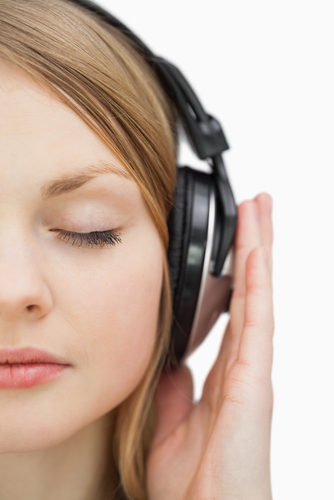 Listening to it daily before sleep with headphones will keep your energy clear and focused. Please do not listen to this while driving and drink a lot of water as this is powerful stuff. 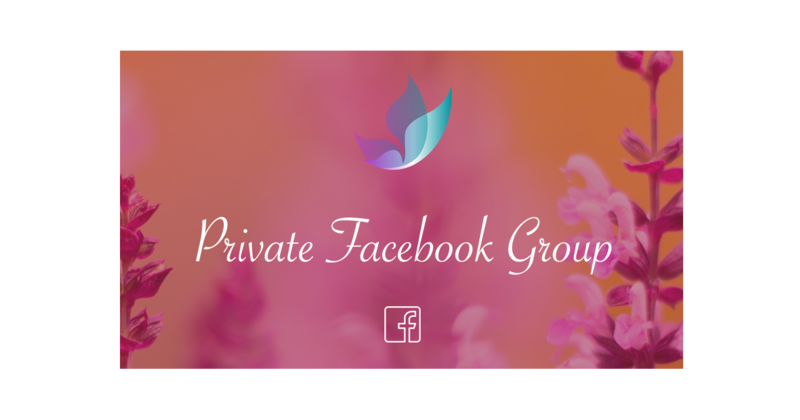 To support your new evolutionary path and to help you gain momentum growing your dream life I will continue to send you healing energy for 21 days. This remote healing session will support the clearings and releasing work that we did during your one on one session. I will continue to send you high vibrational energy to keep you balanced, centered, and focused on all you wish to create moving forward. “I am very grateful to have had the pleasure of receiving a BSP with Chameice last week. Before the call I was feeling very down and after the call I felt a new sense of hope..
Chameice brought up my energy for my solar and sacral charkras from 2% to 40%. She removed beings from my space and grounded me. She gave me a lot of tips on how I could keep my energies up and she gave me insight on what I thought was ADHD in me was really PTSD symptoms. The ease of speaking with Chameice and how she explained everything I was going through and how to take care of myself moving forward was so easy to understand. A few days ago I had my first VIP Backstage Pass. Excited to at last be gifted with a session, I chose my date, 17.01.17; leaving all expectations open, to allow the energies of the day to guide the communication. The generosity came from Chameice, an intuitive energy healer, NEW to FHTJ. I connected easily and quickly to her friendly and vibrant nature, and as the topic would be my choice, it was directed towards my financial and career story. Actually, quite a long story, but to cut that brief, Chameice could direct healing energies to my sacral chakra and solar plexus, which needed opening and grounding. I had sent a recent photograph just prior to our session, so she could tap into my energy field.No abundance blocks! Having been in a stale unhappy marriage for many many years, I had expected things pick up rapidly after he finally left in September last year. Surprisingly, I actually lost work! This, she explained,was because Spirt is allowing space for me to think and create my dream life. To move from surviving to thriving! Her guides communicated " writing". There is something I need to write, or do that concerns writing. Instinctively I know that in the process of writing, my dream vocation will manifest. Chameice will do energy work on me for the next 2-3 weeks. I promise to write whatever comes up during this time. Synchronicities then show up, once our path is opened. Now day 5, I can honestly say I feel somehow different. Truly! Something has happened. I feel calm, focused and empowered, despite the pile of unpaid bills and a reduced income, and a deep knowing......I am ready for the shift of my life! “I had a backstage pass with Chameice Daniel yesterday and it was a very useful and insightful session. I had several topics to discuss - around patterns of behaviour, questions about my relationship and a question about my bigger mission. Chameice was quick to grasp the core of the issue or question, and to offer explanation of why or where this issue or model might have originated from and it all resonated with me. Some answers were eye opening and others re-confirmed my own thoughts and intuition. “I had a backstage pass to work with Chameice Daniel on Tuesday. I felt completely at ease talking with her. She quickly and accurately tuned into the power struggle I have with my younger daughter (11). She was able to sense the main reason for this was that my sacral and solar plexus chakras were running very low, affecting my personal power. She has set up energies to run over the next few weeks to re balance this. She also worked on unhooking other peoples energies that are draining me. I spend most of my time exhausted and overwhelmed. She gave excellent advice about the need to set boundaries, starting with my children. She also picked up on dark energies around my daughters other family tree, she worked on clearing that. During the call, I asked about why I had suffered from chronic fatigue syndrome for so long when I was younger. It was a lesson in self love. I have always put my daughters first, but know I realize I have to put myself first to bring me back to balance. I was stressed before the call, by the end I was feeling much happier and very positive. “I was referred to Chameice by a dear friend. When we first connected, I could immediately sense her warmth and nurturing side. She had me explain my challenges to her and the reasons for my recent anxieties. She was so patient and forthcoming on the vibrations around me and explained my personality (and my partners) to a tee. In her dialogue with me, she was sensitive in delivering messages and the energies around me that perhaps I wanted to stay ignorant about. At the same time, she cleared my cords and negativity to help me in my journey of self-love. She was truly invested in me in every sense and the sensitivity she carried for me and my anxieties were so admirable. After our session, she promptly followed up with a healing tape and a recording of our session. The very next day I wanted to seek some clarity around something that came up during our session so I reached out to her again. She took the time to clarify and answer my question. “I had the pleasure of receiving a BSP with Chameice Daniel last week! She also allowed me to choose my topic/issue rather than telling me what she felt needed clearing. In other words, the sky is the limit and she is ready to handle anything you might throw at her. I also felt comfortable enough to ask her to clarify some info that other spiritual teachers have given in the past because I find you can literally get lost in trying to "get it right". There is so much information out there, that it can sometimes be confusing. Her answers were simple and clear. Clarity is definitely under rated lol! I have always appreciated my healing sessions with other teachers, however I have often felt that I would have liked to spend a little more time with them, to better understand what was happening. Chameice on the other hand, spent a full hour of her time, making sure my questions were answered, clearing what needed to be cleared and leaving me feeling empowered and strong. I truly appreciate the gift of this session and feel privileged to have met such a generous healer.